Thank you. Very helpful indeed and I will be leaving with my clients to reinforce the beneficial effects of repetition in their homework. Many thanks indeed for this graphic. It will be most helpful when explaining neuroplasticity, to clients, and in describing how pathways can change. I think page two will be particularly of benefit and will be useful as a take home sheet for further learning and understanding. Love this and will use it in my work with parents of high-risk children who’ve suffered abandonment, abuse, neglect, and/or substances in utero. You just made my world easier with this great visual! Very good te educate clients. Could you also mention about frequency resonance coherence? The heart and the brain influence each other. See: Evolving Thought Field Therapy, John H. Diepold, page 283-286. I will absolutely use this with clients. A nice clear visual. Thanks! It’s a great resource!!! Clear, simple and effective!Thank you very much for sharing!!!! Brain does not understand language. This is really great, as was your last infographic, thank you. A point re printing: in a world where we all try to reduce waste, the reversed-out graphic uses a HUGE amount of printer ink – using a black on white, instead of white on black (or colour) would allow five copies for the same amount of ink as is used for just one, in your present format…. Hi Suzie, please check out the print-friendly black and white option. It’s right under the infographic. Very nice, accessible explanation. As an Art Therapist working with survivors of sexual trauma I discuss neuroplasticity with my clients on a regular basis. Makes sense that various arts media and creative engagement stimulate neuroplasticity. Thank you Dr. Ruth. On this we do agree as I am a firm believer in these concepts and beliefs whether yet proven or not. It makes perfect sense. I just did not know there was a name to it until more currently. Just as a child I did not know there was a name for losing one’s memories so abruptly and I strongly believe connected to very last surviving memories near or around very same time and filled with pure unadulterated paralyzing terror. I imagine its going to take a whole lot of something to overcome these extremely disturbing, hurting phantom pains telling quite the story themselves. they hurt, almost constantly while awake they hurt. Contrary to actual current pain, I would describe them more as a low level constant pain interrupted only by sleep, heavy concentration, and the movement of body part originally so cruelly and inhumanly effected. Have you considered reiki or myofascial release therapy? It will be safe way to address your pain and associated trauma. I am a practicing MFR therapist (not reiki) and also studying psychology/neurobiology to understand how this works because I know it does. I think any therapy you try may be painful at first, but at least you will move through it instead of feeling trapped behind it. Good luck! Great visual for explaining neuroplasticity! I am an OT and hung it in my office; I also gave one to our PT for her gym. Thanks! It’s a very helpful survey and even encourages the client to find out his/her own way. It diminishes fear and is motivating: helpful techniques are possible. There is a chance for a better life. The client knows what happens and how and why it works. No witchcraft, no magic. This is great. I would love to teach my clients Neuroplasticity . Thank you for sharing this. awesome! and Easy to ‘get’! …great visual too. I can envision being great help to illustrate and re~mind kids and adults and classrooms I coach, consult and advocate with. Thank you! Thank you so much for the chart. I have 2 clients, one that recently had a stroke and one has been recently diagnosed with Parkinson’s Disease. The graph will be such a helpful tool working with these clients and also with my teaching of Mindfulness to all of my clients. Thank you for this chart and opportunity to look again at neuroplasticity. I always appreciate the consistency and high standard you bring to the profession and our education, Ruth. “The brain is neutral; it doesn’t know the difference between good and bad.” Some say life’s events are neutral– I say it is the meaning we give to what happens that wires the brain. Mindfulness plays a bigger role than anyone can imagine–in helping lead us through life’s inevitable challenges with presence and choice– incorporating new ways of being and more resilience than we thought possible. Thank you for publishing this – our team are going to print out this poster. However, like Andrew Bein, we have a concern about the ‘good / bad thoughts’ label. Could you perhaps change this to ‘Helpful / Unhelpful’ thoughts? yes I second that as it implies less judgement. What one society or even generation within same said society deems as good, another might deem as bad. The use of marijuana as a medicinal herbal medication is a perfect example I would imagine. This will be very helpful for my depressed clients that hold little hope for the future, and are not thoroughly convinced that change is possible. there is always hope but it may take a village and will involve much work on the part of the client too. Going to school and taking classes that challenges the mind is helpful. Exercise too. Healthy diet of course as well. I used to believe in LOVE so much as the cure all but lately I wonder where has it gone. It was brought to our attention that there was an issue with the PDF file in that it was not printing or displaying properly for some devices. We have looked into the issue and made some adjustments, so now all devices should be able to access and print the full PDF. If you are still having difficulties with viewing or printing the PDF, please let us know at: respond@nicabm.com and we will assist you. This will be a wonderful tool to share with my Ageless Grace students. However, as other have noted above, the pdf is incomplete. It includes the second page twice, but does not include the first page. I’ll check back later, in hopes that this is corrected, it’s such a valuable resource! Thank you so much for this information, and in a little diagram how wonderful. I will use this in my Addiction groups along with my other visual charts to explain that change is possible. their negative thoughts and behaviors will reinforce that in their brains. Thanks for a simple, understandable, tool. Clients seem to understand that repetition affects neural pathways and also the concept of a part of the brain being the executive and another part being the emotional side. Thus the concept of emotional regulation resting upon coupling new physiological responses and the observing non judgemental brain with data which previously resulted in a heightened arousal. 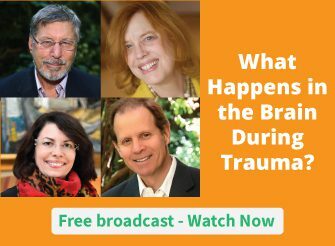 This information presented by you explains in brief form some fairly involved concepts including polyvagal theory, trauma activation and the triune brain, mindfulness etc. Thank you! Great to have to teach people. Appreciate your putting it out. Thank you for sharing this. It will be very helpful to our group as we work with incarcerated women to help demonstrate the real and positive benefit and possible outcomes of developing mindfulness practice and interrupting learned responses. Thank you for this ! It will be very helpful in my work with a team of volunteers with incarcerated women! It will help demonstrate the value of developing mindfulness practices and interrupting learned responses. Thank you so much for this precious piece of work, it will be most valuable for my clients. Thank you to share this with us, I like to learn and this is a great help. Hello Dr. Buczynski, I don’t usually comment, but I appreciate your emails. I am not a healthcare professional, however, I teach a meditation-type of class. It is always great to see scientific reinforcement that the brain can change in positive ways. Thank you so much for make “complicated” topics understandable for the layman. Im a yoga teacher and I love that this science proves what I know to be true from my work and personal practice. Great work, and thank you for sharing in such a clear and concise way. This is an excellent informative and motivational chart for students to understand that they have the power within them to make positive changes. Thanks so much, this is excellent! I’m still having a problem with printing the entire documet and I’m using the PDF link under the graphic. it pulls up the entire document but only prints page 2 twice…page 1 doesn’t print even tho it looks like it will. I have the same problem, only the pdf I downloaded doesn’t have page 1 at all, just two copies of page 2. Thank you so much for sharing this valuable teaching tool. Can’t wait to share with my colleagues and clients at work. I love this chart. Some clients like all of us are visual learners. Thank you, Dr. Ruth Buczinsky! This comprehensive representation of a new view of ourselves will benefit me and my students. Talking about neuroplasticity has helped, but looking at this poster will make major inroads in understanding and in motivation. This is a great graphic for the military members I work with and means I won’t have to resort to drawing a much poorer version of this on my dry-erase board every time I explain what’s happening in their brain that is causing their crisis cycle or stress-response. (Is a kid-friendly graphic in the works?) Currently I work on an air force base and the stigma attached to mental health issues prevents many from seeking help for trauma, anxiety, and related-symptoms. I use brain-informed methods to help remove the stigma of mental ‘illness’ and their idea that, despite their mission-ready competencies, they are weak and powerless to effect change. When I explain the ‘dark’ side of neuroplasticity, the relief on their face is easily visible and when I explain the ‘bright’ side of neuroplasticity, they finally experience hope. They are empowered by the knowledge they can develop competencies that will not only help them manage their symptoms, but that could potentially heal what lies behind their symptoms. Thank you for this! I forwarded your comment to Ruth. This is so encouraging. Thank you for taking the time to comment on how you will use this with members of our military. Thank you for this visual representation of the concepts of neuroplasticity – it will be a useful resource for people who preferentially learn through a visual mode.